Die Wahlberlinerin Lucía Martínez hat ein reiches Perkussions-Arsenal und verknüpft mediterrane Rhythmik mit avantgardistischen Sounds. Joe Fonda ist ein gefragter Bassist der New Yorker Downtown-Szene. "This is a real virtuoso and composer of the highest order", lobt ihn Anthony Braxton. Dieses Trio erweist sich als Destillat des klassischen Klaviertrios: traditionsbewusst und freigeistig, neugierig und lustvoll - ein rauher, ungeschliffener Edelstein. 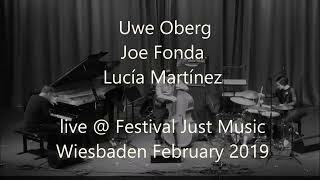 UWE OBERG plays original compositions, free improvisation, inside-piano and music of different origin. 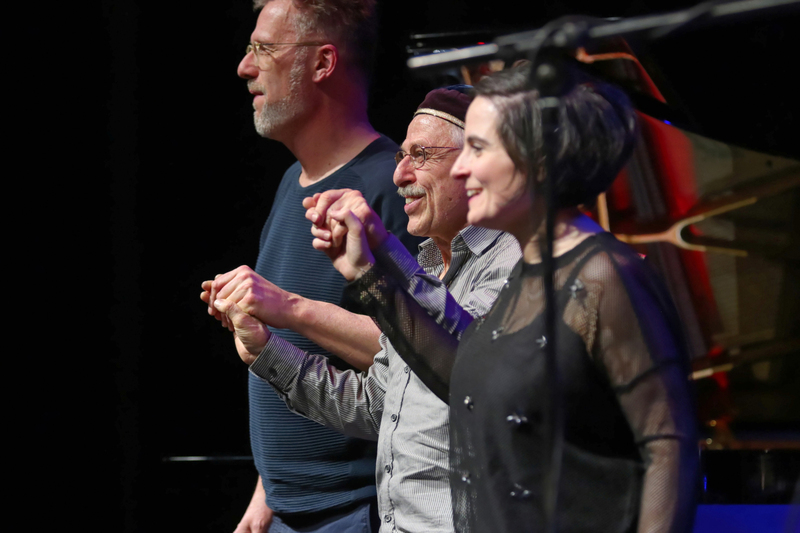 Otmar Klammer ORF/Austria wrote: "Oberg is one of the few, who really joins american with european improvised music;(...) one of the most intriguing pianists at the fascinating intersection of New Music and Free Jazz, impressing with an economic style." Oberg is leading various bands and plays with musicians like Heinz Sauer, Mark Sanders, Paul Rogers, Silke Eberhard, Gerry Hemingway a.m.o. He received the Jazz Award of Hessen 2007. International concerts, numerous CD's. of Joe Fonda is part of a living tradition of belief and dedication. Future historians will be surprised at the breadth of Mr. Fonda's offerings. This is a real virtuoso and composer of the highest order." LUCÍA MARTÍNEZ comes from Spain and lives in Berlin. She belongs to the younger european generation and is into classical music, worldmusic and contemporary Jazz. With her diverse percussion she blends Avantgarde music with mediterranean sounds. Martínez plays with Agustí Fernández in duo, with her own quartet, Lucía Martínez & the Fearless, MBM Trio. International concerts, a lot of CD's.